Today is the day when probably the most famous (and kind of weird for the non-Swedish one) celebration that Sweden have occur. It's midsummer that is at the same time every year. No, it's not a normal summer day that is placed whenever- it is an important tradition! Most people leave their towns and go with their friends and families to their summer houses. It's ALWAYS bad weather at the midsummer day, every single year raining. Just typical Swedish weather I would say. In the morning I went with my grandma to pick some flower for the "flower crown". 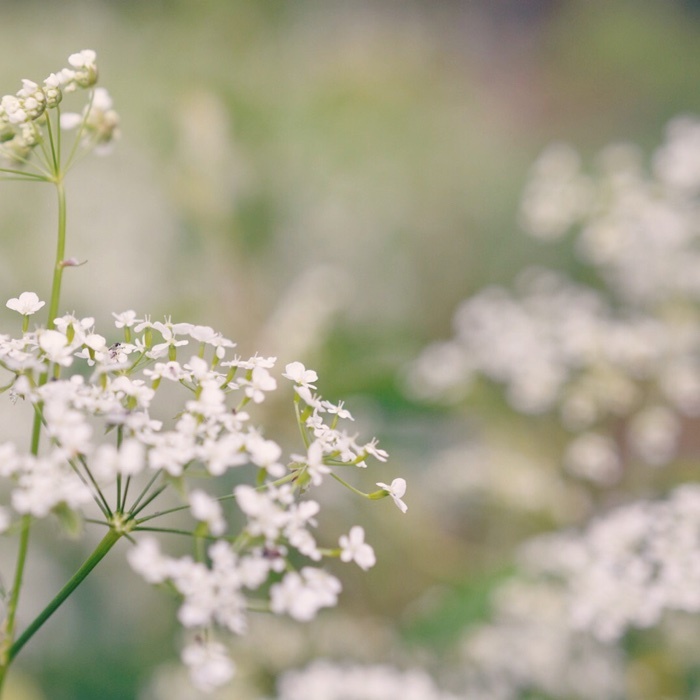 It's so important to wear flowers at midsummer, it's like decorate your house at Christmas. So when I got back, I made it. This year it went ok. Not the most beautiful one, and a bit to small, but it was working. My mom and dad came and we ate cake together with my grandparents. 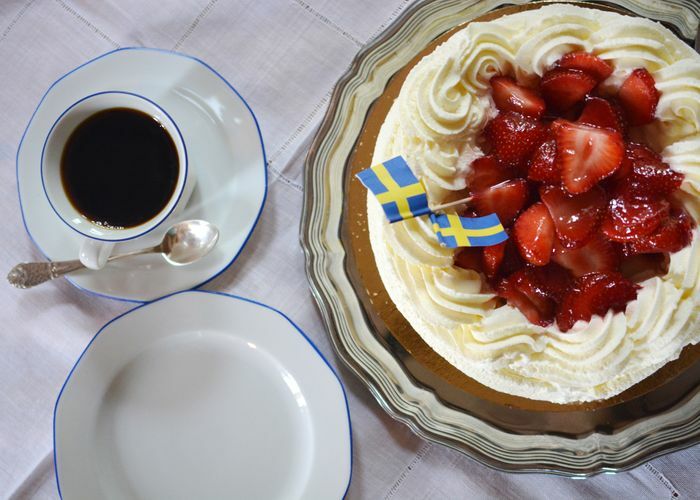 This is one of the most typical Swedish cakes you ever can find. Cream and strawberry cake. I like it, but I prefer cheesecake. Will tell you more about it later, but now I'm going to eat midsummer lunch. 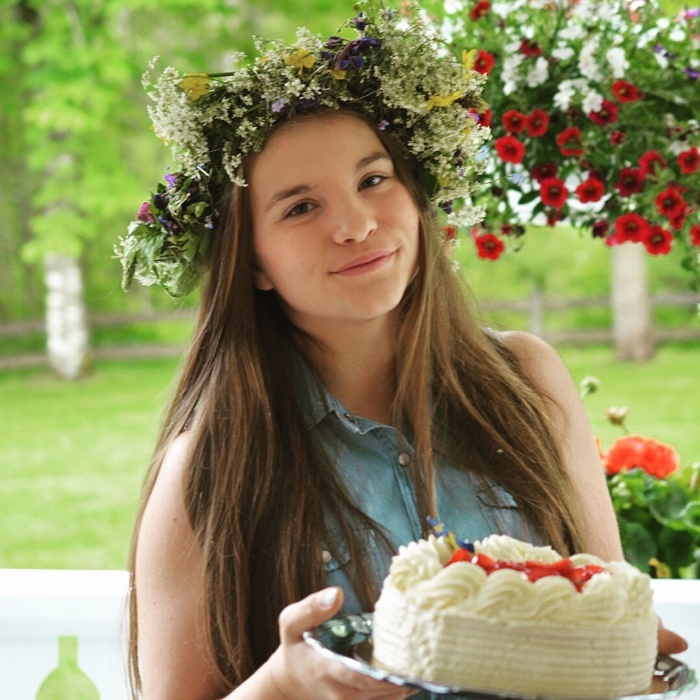 Have a great day everyone, and HAPPY MIDSUMMER!